Leading manufacturer and supplier of Bridal Accessories, Bridesmaids dresses and Communion wear to bridal retailers in the UK, Europe & Worldwide. 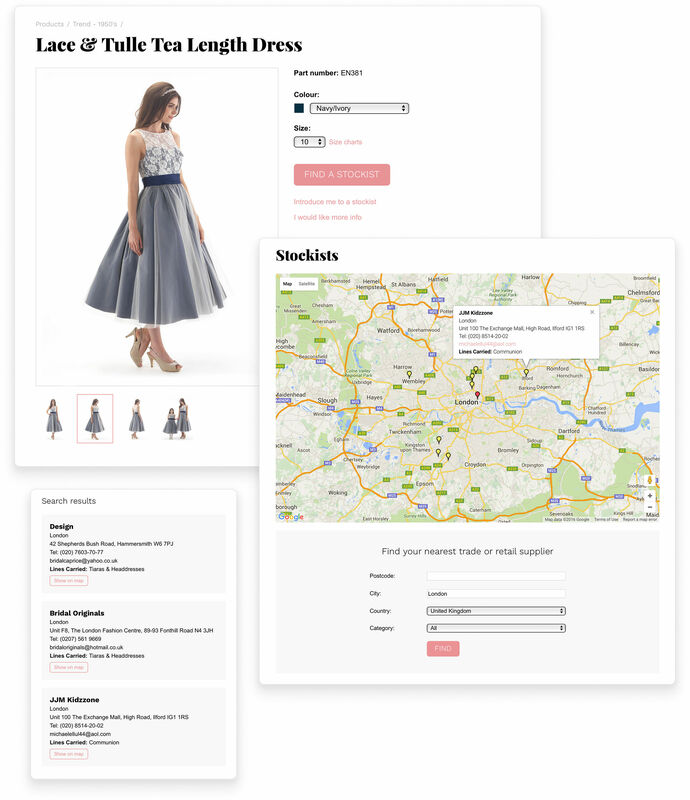 The new online shop for retailers has an incredibly user friendly navigation, filter and sorting system for products. Large product photos with zoom facility allow to see all the details, informative product description and customer reviews help to make the right choice. 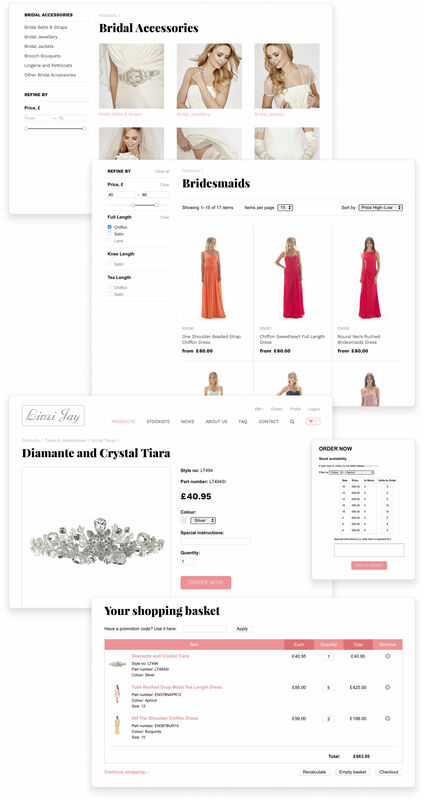 Wholesale ordering system with multiple options allows to save time while shopping on the website. As Linzi Jay work with independent retailers in the UK and Europe all retail customers will need to make contact with nearest stockist and arrange to purchase the product from there. For these customers we integrated a simple "Find a Stockists" system. It helps to quickly find the nearest trade or retail supplier by location and product category.